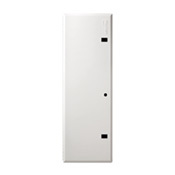 Add security to an existing Leviton Universal Fiber Optic Patch Panel metal panel door. 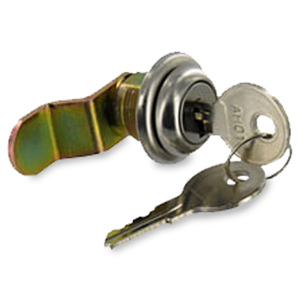 Simply remove the black plastic plug on the door front and replace with lock mechanism. Used with 5R4, 5R7, 5R9, 5W1, 5W3 & 5W7 panels and Structured Media Center hinged covers 47605-14D, 47605-28D & 47605-42D.